Nose / Aroma: En nariz intenso y complejo con abundantes notas de fruta negra y madura. Aromas balsámicos, chocolate, torrefactos, regaliz y especias. Mouth / Flavors: En boca potente y amplio, con gran estructura, frutal y los taninos maduros, sedosos, elegantes y persistentes. Presenta notas minerales, tostados y especiados, con un final muy largo. Ageing: 20 meses en barricas nuevas de roble Francés. Grape harvest: Manual, en cajas de 18kg. 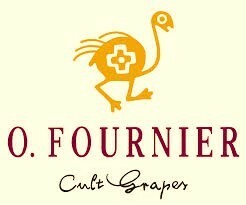 O Fournier Winery and Vineyards owns a property of 105 ha. in the municipality of Berlangas de Roa y Roa de Duero, within the Burgos province. Sixty of these hectares correspond to the vineyard plantations of El Pinar Estate. The beginning of the vineyard plantation at El Pinar Estate dates back to 1946 with the first two hectares. From that date onwards, the development continued until reaching the existing 60 ha. It is worth mentioning that half of this development took place in 1980 and the rest between 1991 and 1998. Half of the plantation uses a head-pruned system with a frame that goes from 1100 to 2900 plants per hectare. The other half is plan ted using a trellis system with a frame of 2300 plants per hectare. The entire estate has been planted with the variety of Tinta del Pais, which predominates in Ribera del Duero given its quality and excellent adaptation throughout the years. The Ribera del Duero region, where the estate is located, is at an approximate altitude of 700 to 800 masl. This altitude produces an extreme climate change between day and night (an approximate difference of 18º to 20º C) helping to produce wines with an excellent color, structure, acidity and suitable for aging in barrels. Given the quality standard for raw material that O Fournier Winery and Vineyards possesses, we conduct a thorough inspection of the handling of our vines. Due to the soil's weakness, the vine's age, the plantation frames and the prunin g, their productivity never exceeds 4.000 Kg per Ha. Our goal is to keep it under those numbers. This performance ensures a very interesting quality potential for our grapes. The mid-term goal is to control our entire grape production, whether by having our own estates (we hope to continue acquiring high quality vineyards) or by signing long-term contract s with local producers. Red: Tinta del País (Tempranillo) and Merlot. 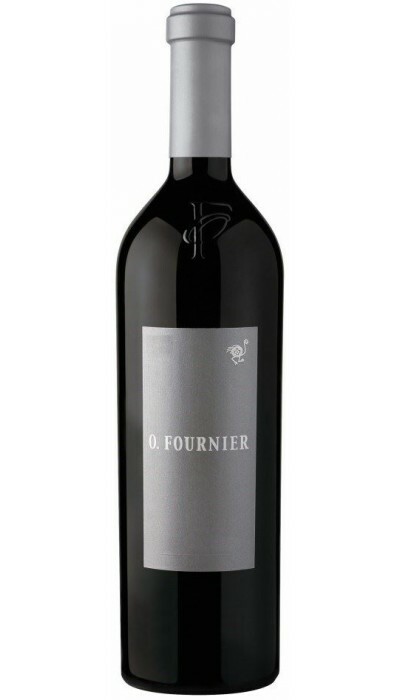 The objective of O Fournier Winery is to produce high quality wines using grapes from our vineyards with a total production of 250,000 bottles. Our young but experienced wine making staff is responsible for producing the wine. José Spisso, Head Winemaker for the Group, assists them during his trips to the Ribera del Duero winery.